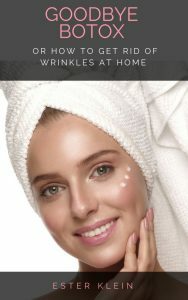 The goal of this smart aging book is to teach you about simple but most effective mind and body techniques to take years of your look naturally without destroying your account or getting surgery. I believe that ageless beauty doesn't just come from keeping our outside package looking good…the integration of mind,body and spirit is essential to living a balanced life.The reason why i wrote this book is the youth obsessed society that places so much emphasis on looking young, so I wanted to clear up the confusion about what to do and what to avoid in order to age smart and healthy. Good habits are a daily requirement which not even our busy schedule can excuse us from performing daily.Altough hectic lifestyle doesn't make it easy,the right technique can make all the diference in how we look and feel over time.And it doesn't take as much time as we might think.On the following pages you will learn simple but most effective mind and body techniques to take years of your look naturally,without destroying your account or getting surgery.